FAIRFIELD — Three men are in custody, charged with trying to use fraudulent credit cards for purchases, including a $500 gift card and a bag of potato chips April 7. An officer was at the Cumberland Farms on Kings Highway around 1:45 p.m. on another call when a Cumberland Farms employee pointed out two men who she said just tried to use a fake credit card to make a purchase. The officer approached the car and could smell a strong odor of marijuana. All six occupants were asked to get out of the car. Two of the men, Elijah Phillips, 19, of Brooklyn, N.Y., and Shemar Joachim, 18, of Jamaica, N.Y., were identified as the two who tried to make the purchase. A third occupant, Jeffrey Robinson, 18, of New York City, was also found to have fraudulent credit cards in his possession. Robinson allegedly told officers they were driving to Hartford to visit some women and had stopped to pick up some snacks. All three were charged third-degree identity theft, third-degree forgery, and conspiracy to commit credit card fraud. Phillips and Joachim were also charged with credit card fraud, conspiracy to commit fifth-degree larceny and illegal use of a credit card. Additionally, Phillips was found in possession of a magnetic strip scanning device and charged with use of a scanning device. 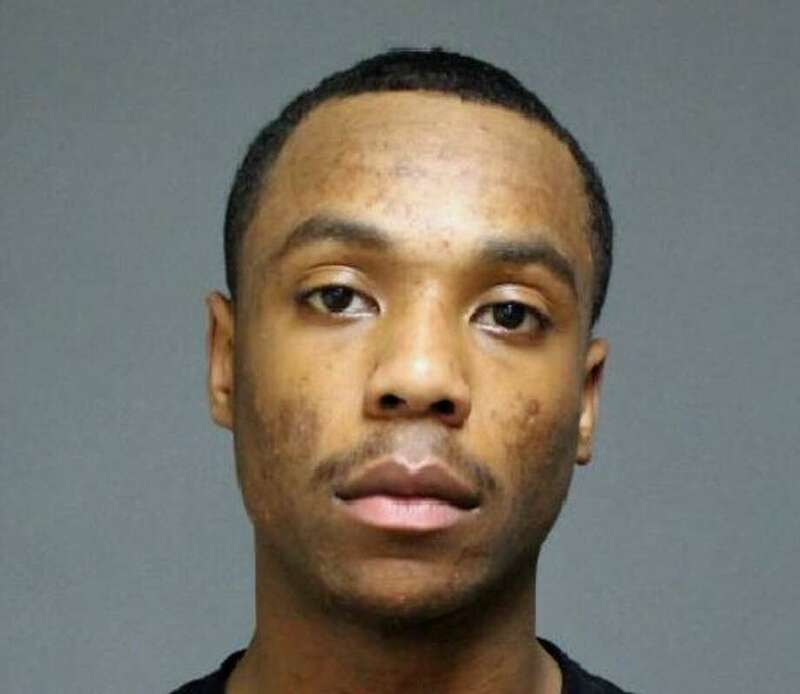 They were each held on a $5,000 bond and are scheduled to appear in state Superior Court in Bridgeport on April 18. The other occupants of the car were sent on their way.